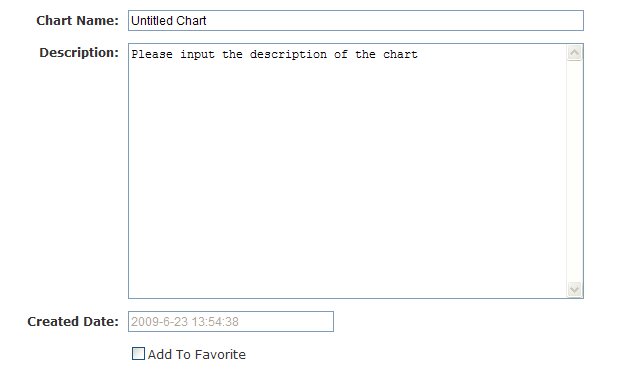 You may input additional message for the chart such as chart name, chart description. If you hope to add the chart to your favorites, you should check Add To Favorite check box. If you hope to show the chart on the page https://www.diychart.com/RecentChart.aspx, you should check Public Chart check box.